In a quiet location but not isolated and with a view onto the rolling countryside, this . 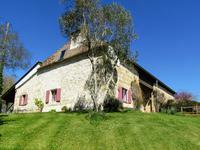 . .
Fabulous restored Hunting Lodge, perfect tranquillity, open views, large attached barn and parkland. Former 16th Century Hunting lodge restored with superb taste, in an elevated position . . .
17 km from Marmande -Well established Gites business in the Lot et Garonne with Pool, in 1ha grounds, fantastic opportunity. A superb stone house longère Gîtes complex on 1 ha. Enchanting and peaceful environment with . . . Built and lovingly maintained by the current owners, this is a house with nothing to do . . . 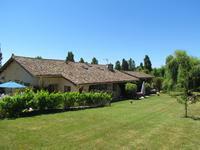 Spacious character stone farmhouse in hamlet with fabulous views and swimming pool. Situated in quiet countryside location. 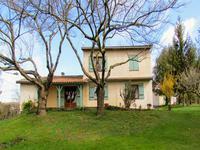 A large stone country house which was renovated to create a welcoming holiday home and . 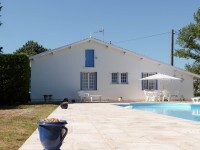 . .
Exquisitely renovated maison de maitre, with classically proportioned spacious and light . . .
Just 45km to Bergerac Airport and 19km to Marmande SNCF rail link to Bordeaux/Toulouse, 10km . . .
Whilst this is a good sized practical family home, it is also an ideal lock up and leave . . .